Liz Ahl is a poet and teacher who lives in New Hampshire. Her poems, some of which have received Pushcart Prize nominations, have appeared recently or are forthcoming in Four Corners, White Pelican Review, 5AM, Court Green, Margie, The Women's Review of Books, Prairie Schooner, Alimentum, and North American Review. 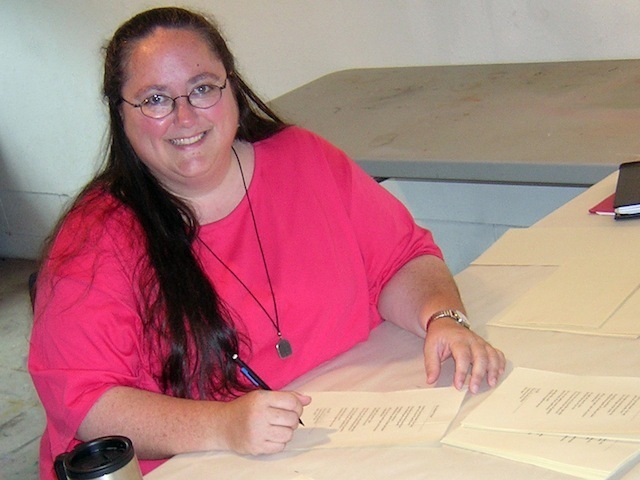 Her work has also been included in several anthologies, including Red, White and Blues: Poets on the Promise of America (University of Iowa Press, 2004), Mischief, Caprice, and Other Poetic Strategies (Red Hen Press, 2004), and Like Thunder: Poets Respond to Violence (University of Iowa Press, 2002). A limited edition (30) collection of poetry, On The Avenue of Eternal Peace, was designed and printed by Joe Ruffo (Lyra Press) and beautifully bound by Denise Brady.